PLANS TO BRING in minimum pricing on alcohol have been confirmed by the Government. The new legislation will make it illegal to sell or advertise alcohol below the cost to the retailer. Supporters say the rules are the single best way to cut down on those who drink in a “harmful or hazardous” manner and will most likely affect supermarkets. But others say that the rules don’t go far enough, they argue that supermarkets should be forced to sell alcohol in a separate part of the store. 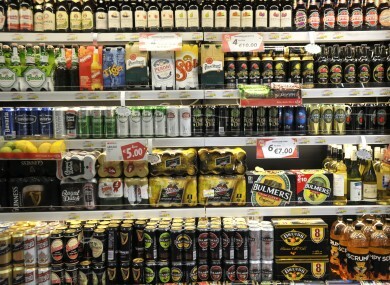 Today’s poll: Do you support minimum pricing for alcohol? Email “Poll: Do you support minimum prices for alcohol? ”. Feedback on “Poll: Do you support minimum prices for alcohol? ”.